PoleClinometer used to only fit ski poles of 14mm, 16mm, or 18mm in diameter. Got pencil-thin poles like the Goode Pure Carbon Classic shown below? Or perhaps an odd in-between size? Our new SIZER sticker lets you size up your pole shaft! Alternatively, if you have an extraordinarily large pole shaft, the new “XL” PoleClinometer kit can help. 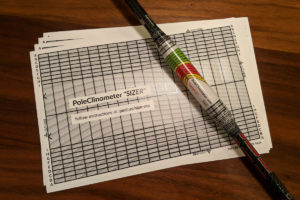 Between the SIZER and the XL, PoleClinometer can now fit ANY ski pole shaft diameter! Odds are you don’t. 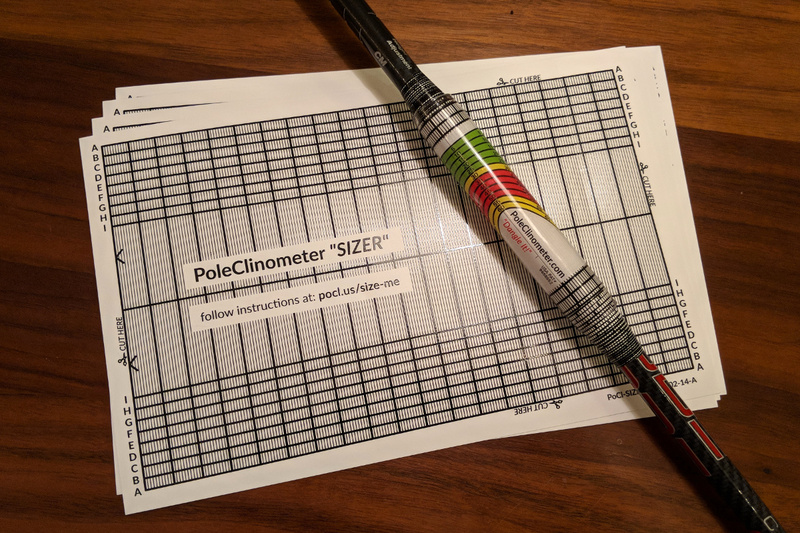 The standard PoleClinometer kit fits the vast majority of ski poles. Want to be sure? Try this trick for an accurate measurement of your pole shaft diameter. No problem! If you haven’t bought your PoleClinometer kit yet, but know you have an odd pole size, just buy yours now and provide your pole measurements plus make and model in the order comments. If you already bought a PoleClinometer kit and it doesn’t fit your pole, just contact us and provide details of what you have. Either way, we’ll provide everything you need to get you sized up right! Already have your SIZER and need installation instructions? You’ll find what you need at the SIZE-ME page. There’s also a handy “calculator” there to help you determine how many SIZER stickers you’ll need (if any) for your particular pole.